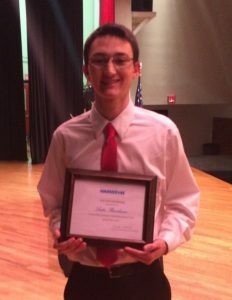 Hamilton Relay, Telecommunications Relay and Captioned Telephone Service provider for the state of Georgia, has awarded a $500 college scholarship to Luke Bundrum, a student of Cherokee High School from Acworth, Georgia. Luke was awarded the $500 Hamilton Relay Scholarship after completing the application process, including writing an essay under the topic of communication technology. Luke plans to attend college in the fall to pursue a degree in social studies education.